Trust your family's comfort to us! 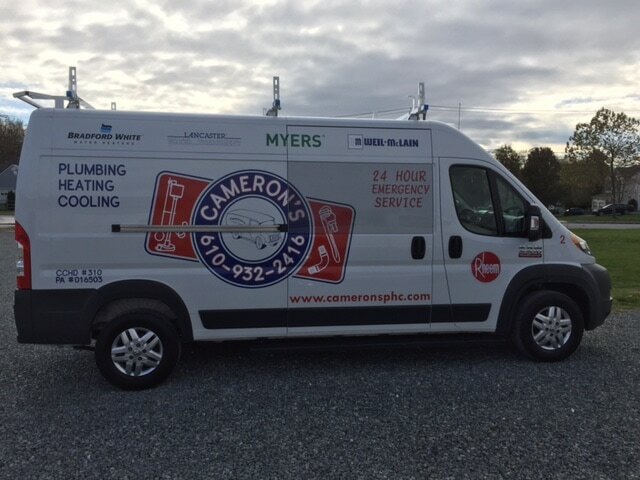 Cameron's Plumbing, Heating, and Cooling offers experienced, quality service with a personal touch. We offer a wide variety of products to meet all of our customers' needs. We provide exceptional service on all brands of plumbing and HVAC equipment we install and will gladly service most products you already own. Our goal is to provide quality service you can count on, time after time. Our technicians are on-call 24 hours a day, 7 days a week, for any emergency that may arise. We proudly serve Oxford, PA and the surrounding areas. bathroom remodels and much more. heat pumps and ductless systems, hot water baseboard, radiant floor heating, hydronic heat coils and many more. Sales, service and installation of heat pumps, including geothermal heat pumps, and mini split ductless systems, package systems, indoor air quality and much ​more.